Sweetened with maple syrup and flavored with warm spices, this peach and plum parfait with vanilla yogurt can be served for breakfast, brunch or an after dinner treat. Preheat your George Foreman Grill for 5 minutes with the lid closed. Toss peaches and plums with vegetable oil and sugar until coated. Place slices on grill and cook, turning once, for approximately 2 to 3 minutes or until golden. Cool slightly and chop. Toss with maple syrup, ginger, cinnamon and nutmeg. Layer fruit and yogurt in parfait glasses, repeating layers twice. Top with granola. 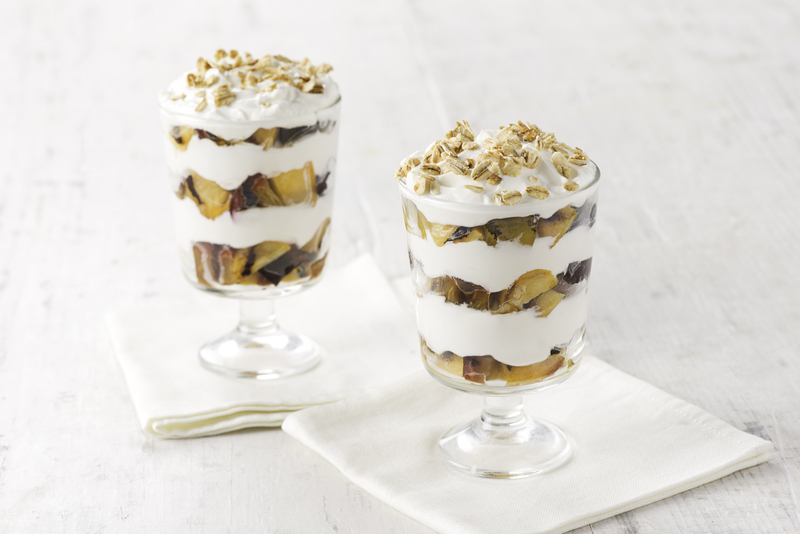 Tip: You could also top the parfaits with toasted pecans or almonds.